A small section of the valley floor seen from the Doctor's Gate path. 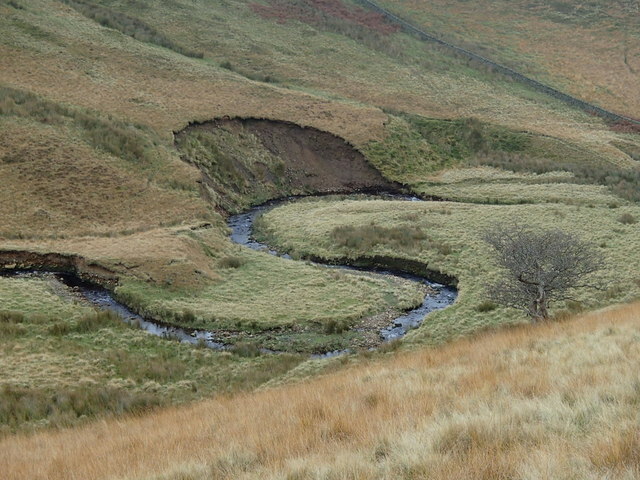 The meander has cut into the steep hillside resulting in a landslip. This page has been viewed about 277 times.